Starbucks Coffee Cnr Elizabeth St and Albert St Brisbane. Just down from Queen St Mall. Raw Espresso Bar on Adelaide. 1/299 Adelaide St Brisbane. Ph: (07) 3221 6061. Raw Espresso Bar 344 Queen St Brisbane Ph: 3211 7788. Cafe Pronto 160 Ann St Brisbane. KI Bar and Bistro Ann St Brisbane, just across from entrance to Brisbane Central Station. Axure wireless network. Also find free internet Wi-Fi Hotspots in Sydney. 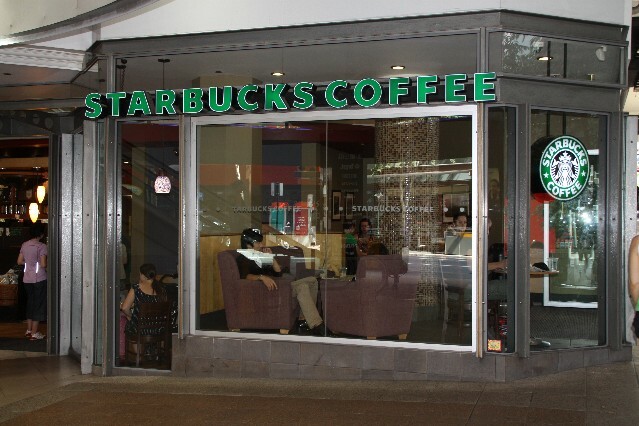 Starbucks Coffee Cnr Queen St and Creek St Brisbane. Open Monday to Friday 6.30am - 7pm. Saturday 7.30am - 5pm and Sunday 8am - 5.30pm. Starbucks Coffee Cnr Adelaide St and Edward St Brisbane. Right in the heart of the city. McDonald's at Brisbane Central Train Station enter via Ann St Brisbane. I experienced regular disconnects here. The McDonald's wireless network kept disappearing then reconnecting, very frustrating! Muffin Break at Fortitude Valley Train Station. You will need to ask for the userid and password when you make a purchase. McDonald's Brunswick St Mall Fortitude Valley. Wintergarden Food Court located on Elizabeth Street Brisbane has a free Wi-Fi zone. Located right next door to the Hilton Hotel. Coffee Club Albert Street Brisbane has free Wi-Fi Internet access. JJ's Cafe Bar 120 Edward Street Brisbane Ph: (07) 3210 0007.